We’ve written several books about the Deep Living work. 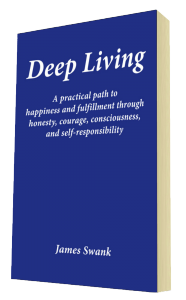 Deep Living: A practical path to happiness and fulfillment through honesty, courage, consciousness, and self-responsibility is a comprehensive presentation of the Deep Living Point of View and Practice. This book is the culmination of the many years of James’ personal and professional practices put into clear prose. Here you will find a mixture of ancient wisdom and modern techniques joined together to create a guide that can lead you to find more clarity about yourself and the world around you, better relationships with others, and a more joyous and fulfilling way of life. 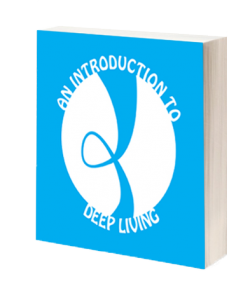 An Introduction to Deep Living introduces you to the basic ideas of Deep Living and can serve as a guide to get you started on the path towards the life you were meant to live. Writing in a simple, clear, and creative style, James has shared some of the most valuable things he has learned on his path to happiness. If you are not satisfied with your life, and are ready to do something about it, this book is a great way to start. If you are already on a journey of self-discovery and exploration of your potential, this book contains much of what to keep in mind to help you find what you are looking for—the things you know you knew even if you have not heard them before. 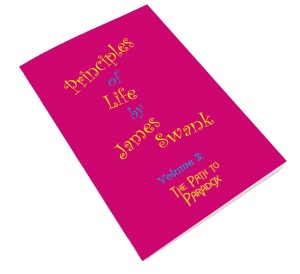 Principles of Life is a series of colorful booklets presenting a way of perceiving and understanding the world around you that will give you a deeper and more meaningful experience of life. Volume 1: Energy Basics introduces concepts and begins to reveal ways to gain this knowledge. Volume 2: Living in the Energy Field shows how to relate to the energy field around you in a way that will prepare you to function much more effectively. Volume 3: The Path to Paradox presents how to begin the journey from what you think is real to what is actually happening in you and around you, while also starting to show you how to relate to R/reality in a more joyful and effective way. All of our books are available through most online booksellers or by special order from most bookstores. Some of our books are also available translated into German and can be found on the German Books (Bücher) page. If you would like to order books directly from us using PayPay you can do so here. The Deep Living Book is also available as an ebook which can be purchased through Amazon, iBooks, Kobo, and Nook. Deep Living: A practical path to happiness and fulfillment through honesty, courage, consciousness, and self-responsibility in English. 20€ + 5€ for package and post in Germany. An Introduction to Deep Living in English. 20€ + 5€ for package and post in Germany. 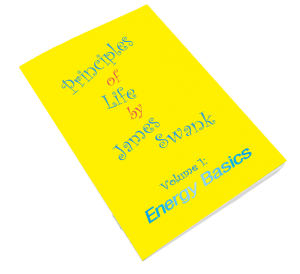 Principles of Life Volume 1: Energy Basics in English. 10€ + 3€ for package and post in Germany. Principles of Life Volume 2: Living in the Energy Field in English. 10€ + 3€ for package and post in Germany. Principles of Life Volume 3: The Path to Paradox in English. 10€ + 3€ for package and post in Germany. 5€ surcharge for shipping to countries outside of Germany.